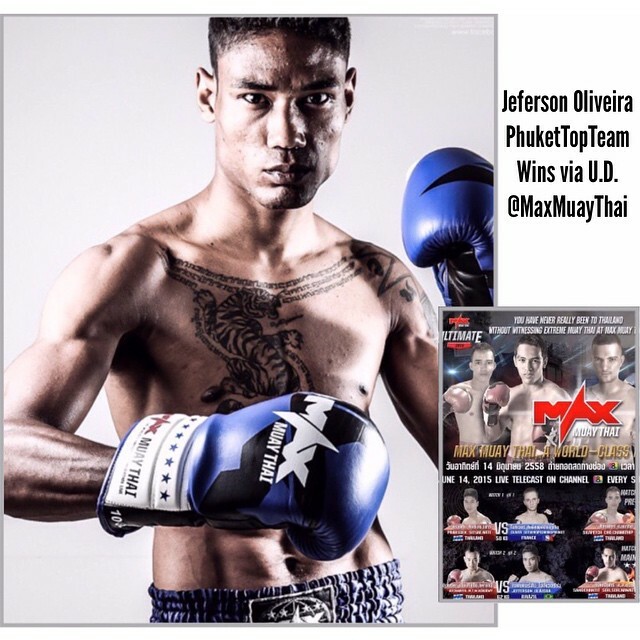 Jeferson Oliveira Phuket Top Team won big fight at Max Muay Thai night Vs Atchariya MTM Academy (Thai) in a tough war on 14th June. Jeferson is one of the top 60-62kg non-Thai fighters inside Thailand representing Phuket Top Team MMA training camp in Phuket. Looking forward to a big year from him, with some big goals & big fights to come.